Combining modern conveniences and historic grandeur, recently renovated and restored to its original character, The Skirvin Hilton Oklahoma City features 225 beautifully-appointed guestrooms and suites ensuring comfort and convenience for every guest. 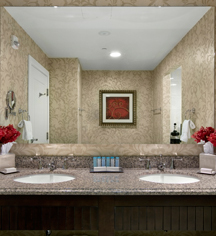 The Skirvin Hilton Oklahoma City offers guestrooms furnished with two double-sized or one king-sized bed and a charming sitting area fitted with a chair, ottoman, and a large work desk. 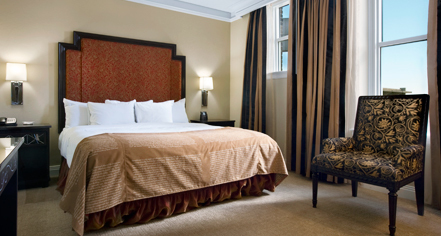 With 600 ft2 of space and a king-size bed, Deluxe Guestrooms serve added decadence for guests desiring extra comfort. Pet friendly rooms available upon request. $50 Security deposit required.